Mercy Health – Tiffin Hospital has welcomed the first baby born in 2018. Colt Daniel Asher Schmidbauer was born at 4:34 p.m. Jan. 4. He weighed 8 pounds, 4 ounces, and was 21 1/2 inches long. 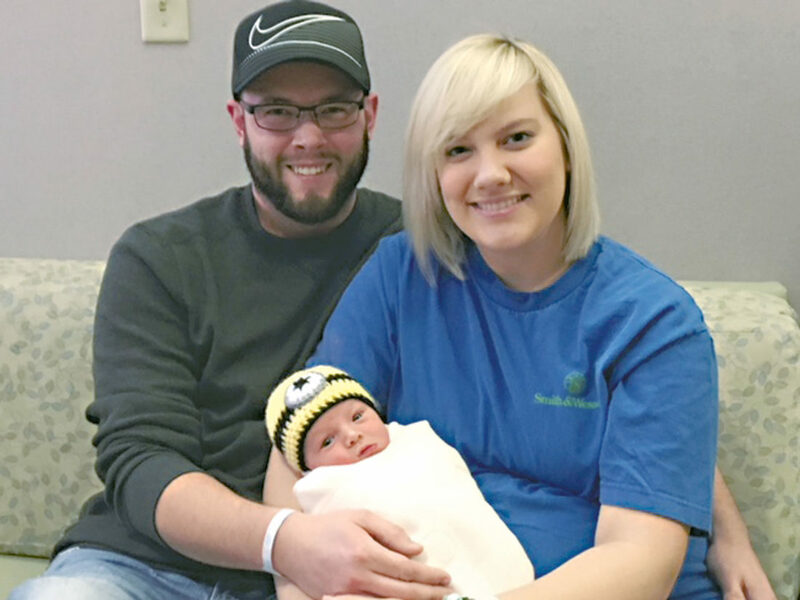 His parents, Michael and Morgan Schmidbauer of Tiffin, were presented with a gift basket courtesy of the hospital’s Family Birthing Center to help celebrate.